The London post-punk band fortifies its buoyant, life-affirming jams with one of the most revolutionary forces of all: fun. Today is a challenging time for any band with political undertones, and that goes double for . 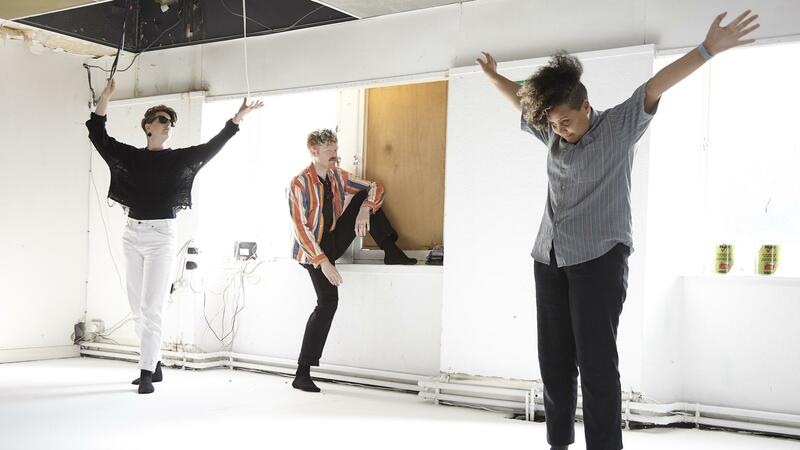 The London-based dance-punk band found itself making its third album, , under the shadow of both Brexit and Donald Trump. On its previous albums, 2013's and 2015's , the trio of guitarist Rachel Aggs, bassist Billy Easter and drummer Andrew Miller established their jittery, minimalist approach —, the band could have gone either way, either doubling down on political rhetoric or fortifying listeners with buoyant, life-affirming jams. It's clear it chose the latter. This week, neo-flamenco singer Rosalía spears the male gaze, Anuel AA drops an album within hours of leaving prison, and Balún goes deep on the dreambow on their new album.